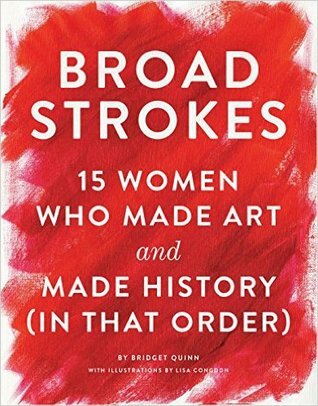 This entry was posted in books and tagged art, art history, audiobook, female adolescence, feminism, history, memoir, non-fiction, short stories and essays, visual art, women by kristin @ my little heart melodies. Bookmark the permalink. Ooh, this sounds fascinating! Since I work in science myself, I’ve made a point of learning about women scientists, but it’s true that pretty much all the artists I could name are male. It would be nice to change that and it seems like this book would be a good place to start.